Fellhounds inhabit Thesk, an ancient medieval land of towering forests, treacherous mountains, tumbling waterfalls and rolling, barren fells. The people of Thesk live in villages dotted around these fells. They farm sheep or rear deer to eke out a living. They also have two big worries: the first is that the grasping Lord Rexmoore will tax them out of existence; the second is that the Wraithe Wolves of Tel Harion will come down from the wilds in the dead of night, because believe us, you do not want to be bitten by a Wraithe Wolf! 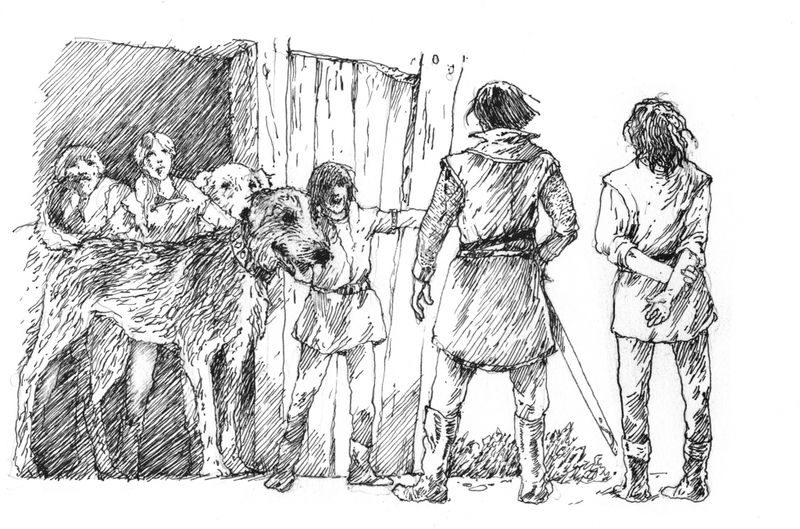 To keep the villages safe, many rely on Fellhounds, an ancient breed of massive hound. 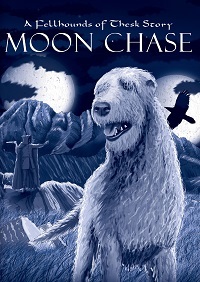 For many, many moons now these hounds have been crucial on the moon chase – a mid-night hunt for the deadly Wraithe Wolves to stop them coming down off the mountains to hunt their prey – deer, sheep… oh, yes, and people! Brave and loyal, Fellhounds will fight to the death to protect their masters – fearless teenagers who train long and hard to join the Fellmen of Thesk – but things don’t always go to plan. 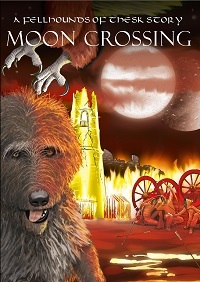 You can read about the adventures of the Fellhounds and the Fellmen in Cathy Farr’s stories, Moon Chase and Moon Crossing. 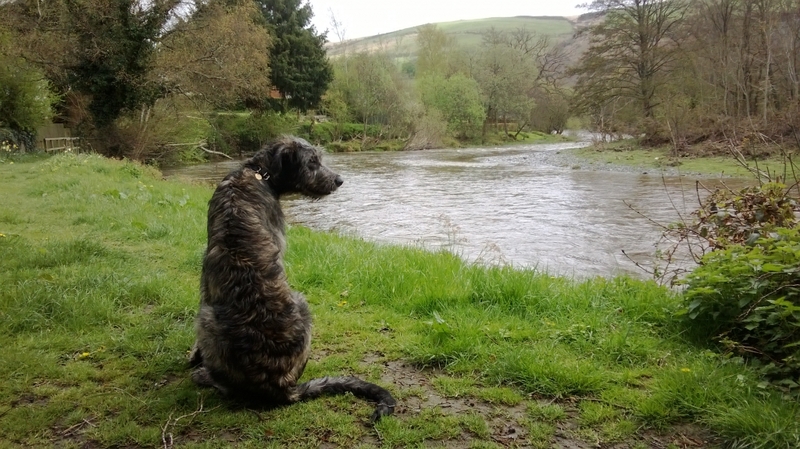 Today, the closest living example to a Fellhound is an Irish Wolfhound; Fellhounds, though are much bigger.